This year our office has been selected as a drop-off site for Toys for Tots Program – a national program to collect, new, unwrapped toys and deliver them to the less fortunate. 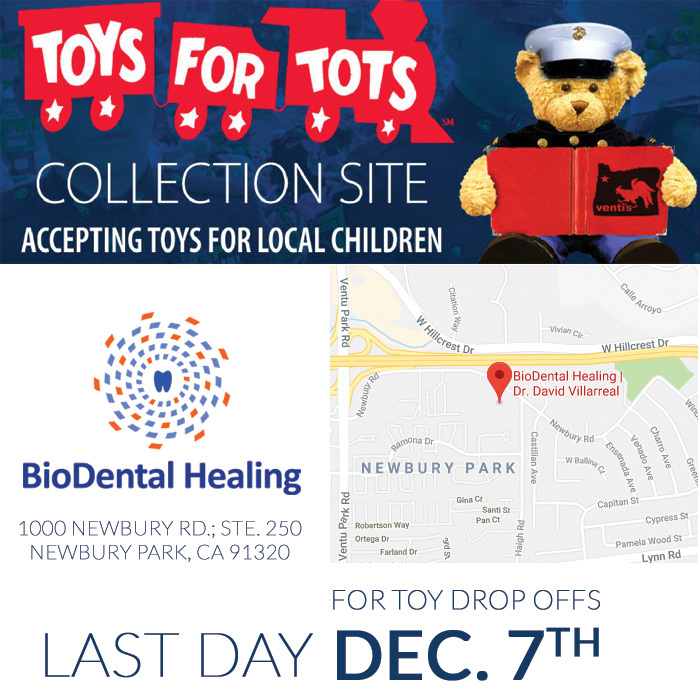 Drop off your toy donations at our office Monday-Thursday anytime between 7:30am and 4:30pm. LAST DAY is December 7th. Drop-off Location: 1000 Newbury Rd. ; Ste. 250 Newbury Park, CA 91320. This entry was posted in Uncategorized and tagged holiday, toys for tots. Bookmark the permalink.